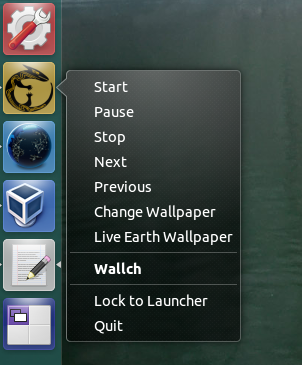 Wallch is an automatic wallpaper changer that works with GNOME 3 (and Unity). 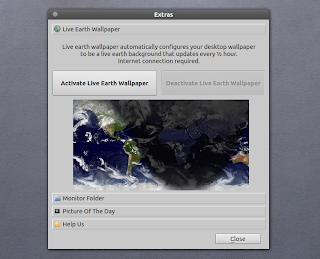 It features desktop/sound notifications, random image and time changing, live earth wallpaper (a 'live' picture of the earth updated every half hour), taking screenshots or webcam image. 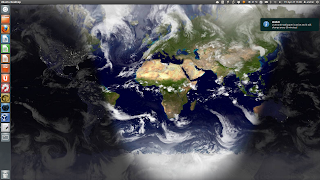 Recently, the application got a new feature to automatically use a picture from Wikipedia of the day as wallpaper, as well as folder monitor and a redesigned UI. You also have an option to save the current picture of the day for later use. To activate the picture of the day wallpaper or live earth wallpaper, firstly make sure the regular wallpaper changer is stopped (if started, click "Stop" in the main Wallch UI), then select Edit > Extras and you'll find a button to activate the live earth wallpaper or picture of the day. 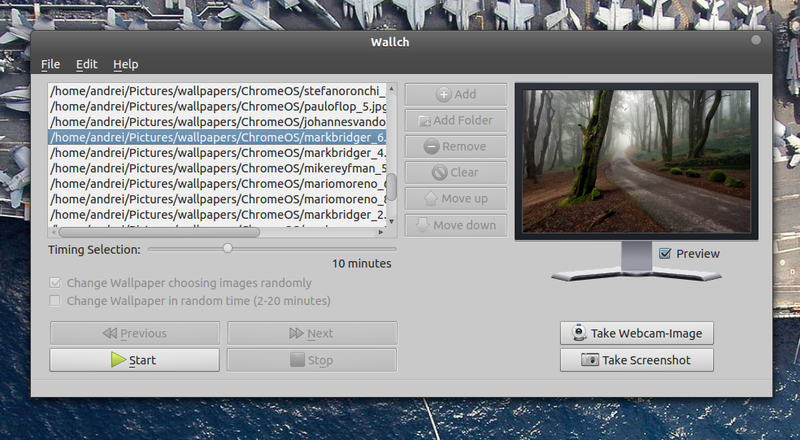 Here, you'll also find the folder monitor which adds any images you copy to a given folder to the Wallch wallpaper list. 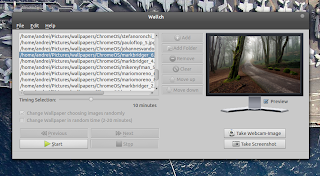 For other Linux distributions, you can download the Wallch source from HERE. 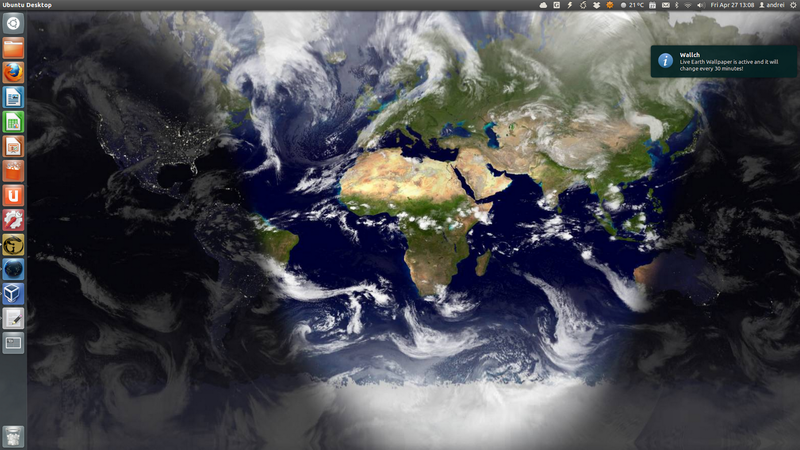 thanks to Leon Vs for the tip!